Good Morning…I’m Stephen Woessner, CEO of Predictive ROI and host of Onward Nation – and I’d like to welcome you to Episode 705…this week’s solocast. In case you’re new to Onward Nation…a solocast is where you and I take a deep dive into a topic…just you and me…without a guest. And this one-on-one opportunity provides the necessary time to really explore a topic with some depth. And during a solocast, I typically share my point-of-view – when relevant – on trends my team and I are watching play out with business owners every day in the marketplace. Or, I may share the most important lessons I am learning during conversations with other owners either during our Onward Nation episodes – sometimes during the recording or behind-the-green-curtain discussion I get to have – or – when I am out on the road teaching at conferences, or the new tools and tech I am learning about during mastermind sessions, or weekly check-ins with my accountability partners. So these solocasts are the place where I can share all of these points with you – and hopefully – I am able to share them in a practical and tactical way that the information and ideas serve you, your team, and overall, are helpful as you work toward building and scaling your business. So for today…I am going to explain why I believe so strongly that “voice” represents that next opportunity – that next patch of fertile ground – for significant business development. Let’s start off with some context around the word “voice” and what it covers. And then we will dive deeper into what, in my opinion, likely represent three of the most significant business development opportunities for you as it relates to voice – and how you and your team can win if you were to add a voice-centric strategy to your overall biz dev plan. Okay, so what do I mean when I say “voice” and why does it matter? 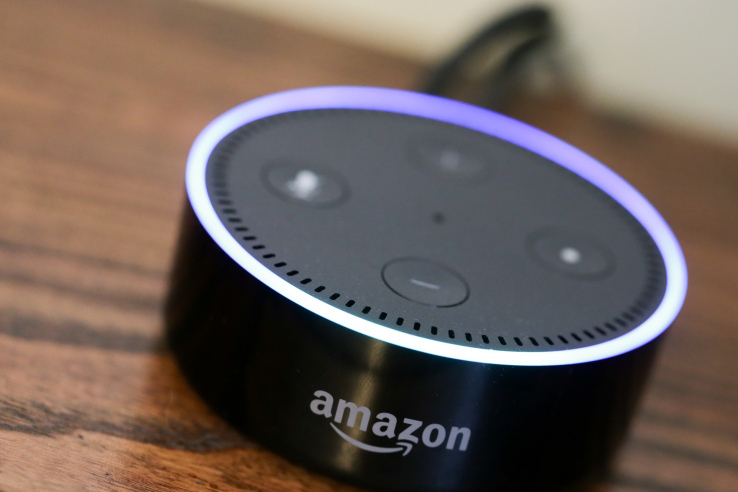 The term “voice” today is being used to essentially encapsulate all voice-activated or operated devices, apps, and Internet of Things accessories that you may have in your home or office. So for example, if part of your daily routine while you’re coffee is brewing is to say, “Hey Alexa, give me my flash briefing,” you are using voice to get information. Or, maybe part of your daily routine is to say, “Hey Google…dim the kitchen lights to 50 percent,” you are using a voice command to get a desired result. Or, let’s say you are working on a research report and you grab your iPhone X and say, “Hey Siri…what is the 52-week high for Disney stock,” you are using voice to pull data from a search engine. Or, maybe you want to listen to your favorite podcast and you say, “Hey Alexa, play the Onward Nation Podcast,” and the most recent episode begins playing. And over the last couple of years, we have seen a real proliferation of voice-controlled devices or VCD for short…to the point that we are seeing a category emerge with a real acronym…VCD…voice controlled devices. And we as consumers are responding and voting with our wallets. To help illustrate this…I want to share some of the trends and data points we are watching really closely here at Predictive ROI. According to Techcrunch…the Echo Dot was the best-selling product on all of Amazon during the 2017 holiday season. Amazon did not release the actual number sold, but they did confirm for Techcrunch that tens of millions were sold. According to comScore…the number of U.S. households with smart speakers grew by 49 percent from June to November 2017. And smart speakers currently consist of Amazon Echo, Google Home, Apple HomePod, and others. 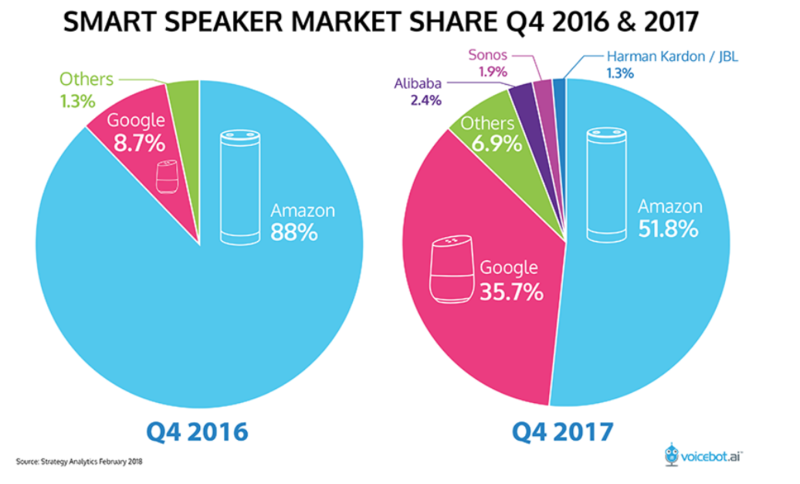 Amazon Echo continues to be the market share leader but Google Home is gaining ground quickly. Here’s a market share estimate that shows Amazon with 88 percent market share in 2016. Their share dropped to 52 percent in 2017. It is also important to realize that the overall market is exploding and that Amazon is still selling millions of Echos – and – from an software perspective…Amazon provides buyers with a library of over 30,000 Alexa Skills that can be verbally installed so that Alexa can perform certain tasks for you, as compared to Google Home’s library of less than 1,000. But, Google’s major advantage is its dominance in search. Right now, when you ask Alexa to search for something online, she is only able to search the topic using Wikipedia, which is not as comprehensive as using Google, which comes native as part of Google Home. This provides Google with a huge advantage to penetrate more and more areas of our home. A results of a recent Google survey estimated that 72 percent of people who own a voice-activated speaker say that their devices are often used as part of their daily routine. But the market share competition for voice controlled devices is not being waged just by Amazon, Google, and Apple. Samsung is expected to get into the smart speaker space – and according to Forbes, Spotify has been rumored to be preparing the release of their smart speaker. 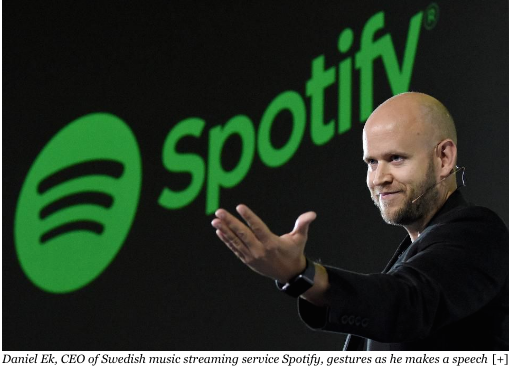 And, Spotify is about to conduct a $1 billion initial public offering for their stock, so the stakes are high that they execute their products strategy carefully so they can diversify revenue beyond being a music subscription service – otherwise – the company would not be worthy of such a lofty valuation. So let’s shift our attention away from devices and think about search and how we as consumers are being to use search engines to find what we need. According to Branded3 and data collected from IBM, 25 percent of searches on Windows 10 taskbar are voice. According to a report in Search Engine People, 20 percent of mobile searches on Google are made via voice command. And according to comScore, 55 percent of teens and 41 percent of adults already execute voice searches multiple times per day, and the forecast is that by 2020, 50 percent of all searches will be via voice. Onward Nation, I have even read reports predicting that by 2022, our computers will no longer come with keyboards because your laptop will essentially become a voice controlled device. It blows my mind to think about that – but – the data does seem to point in that direction. And what about podcasting as part of growth – is it still a growing category? And I get the fact that for me to have a bullish voice in this area makes me seem biased…so let me share some data from Edison Research. They are the leaders in collecting and sharing the growth related data in their annual report, which you can download here. Podcasting…even though it may seem like it is exploding right now…by the numbers…is growing at a slow and steady clip. There does not seem to be a podcasting bubble – instead – the data seems to indicate that there is some significant upside potential and we are just beginning to scratch the surface as more and more listening channels come online making the content that much more accessible. 24 percent of Americans have listened to a podcast in the last month – up from 21 percent 12 months ago. And 40 percent of Americans have ever listened to a podcast…up from 36 percent 12 months ago. 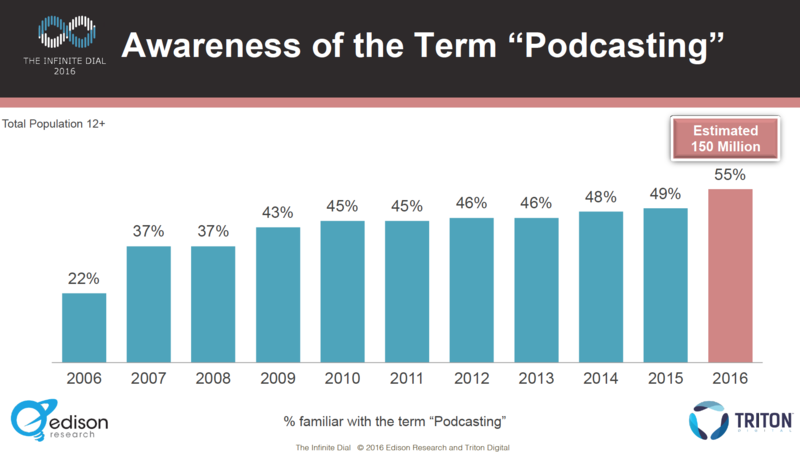 The awareness of the term podcasting increased to 60% up from 55 percent 12 months ago. And 15% of Americans said that they listen to podcasts on weekly basis up from 13 percent 12 months ago. Slow and steady growth – even though – sometimes it can feel like every business owner on the planet has podcast and everyone is listening…the reality is not that. In fact, there are only a few podcasts – there is a lot of room in the market especially for really good content – and there is still a lot of blue ocean out there with growth potential. And we are seeing this steady growth as smart phones become more and more sophisticated, podcasters are developing their own apps so their audiences can find their content with just one tap or click, and their continues to be a proliferation of channels where the content can be accessed. For example, when we launched Onward Nation on June 15, 2015…705 episodes ago – yay! – you would have been able to listen to our episodes on iTunes, Stitcher, and our website. Now…you can listen to our episodes on iTunes and Stitcher as well as Amazon Echo by asking Alexa, you can find us on Spotify, on CastBox, on iHeart Radio, and on Google Play. And I am sure we will see more and more channels come online as the competition for subscribers and downloads continue. Lastly…we are also seeing large brands beginning to make significant investments in voice as part of their overall marketing strategy. According to AdAge, and what might be an industry first, JPMorgan Chase recently appointed VaynerMedia as its agency of record for “voice marketing” as the financial services giant looks to amplify its strategy around the nascent practice. Onward Nation, there are a number of reasons why I think this news is significant – but most of all – brands have been resisting for years and years the naming of an agency of record for any part of their business. Because awarding an agency with that title anoints them with a high level authority – certainly at the strategy level – above all other agencies. It is typically reserved for something very significant – and it is rarely used in today’s advertising world. Instead, brands are breaking up with agencies, slicing and dicing responsibilities across many agencies where they think they can get the best pricing, etc. So for JPMorgan Chase to make the bold move toward voice and to do it such a way that named Gary and his team as the agency of record – is huge. Huge kudos to Gary – major win. We are definitely witnessing the fulfillment of some of the predictions he made during Episode 42 of Onward Nation. Okay, let’s bring this full circle…all of this combined is why I firmly believe that the momentum we are experiencing around podcasting – and more macro – what we are experiencing around voice – is just the tip of the iceberg and all of this exciting momentum represents a myriad of opportunities for you and your team to plant your business development flag. So let’s take a look at four business development strategies that in my opinion, you and your team should seriously consider. These are not pie-in-the-sky ideas that you might be able to implement if we go keyboard-less computers in 5-years. Hosting your own podcast is an exceptional opportunity for you share your point-of-view with your customers and prospects, to be helpful to them as they work hard to grow their businesses, and to grow your audience and influence. Once you launch your show…be sure to get your content into all of the major distribution channels like Spotify, Alexa, CastBox, iTunes, Google Play, iHeart Radio, Soundcloud and the myriad of other channels were podcasts live today. If you want a complete list of what we consider to be the big ones…go to PredictiveROI.com and click on “Podcast” and you will see a long list down the right side of the site with links to each channel. A podcast will also provide you with numerous monetization opportunities from developing business relationships with your guests, to promoting products and services to your audience, selling sponsorships to third party brands who want to pay you to access your audience and many more. If you’re consider launching a podcast – or some other form of cornerstone content – I highly recommend going back to Episodes 676 and 659 so you and your team can refer to all of the step-by-step tactical plans I included in each episode for creating and monetizing your cornerstone content. Okay, once your podcast is launched, and your episodes are available on Amazon Echo via Alexa voice commands, then I recommend you give some serious thought to building your own Alexa Skill or Flash Briefing. At the time of this recording, we are about 2 weeks away from launching a beta version of our Predictive ROI flash briefing where we will provide helpful insights from our guests that were not aired during their actual episode – a collection of behind-the-green-curtain conversations – and the daily Flash Briefing would be the perfect channel for sharing that super exclusive content. In addition, we may also include research points, the answers to FAQs, and other ways we can be helpful to business owners who may be looking for resources on how to gain clarity around their point of view and use cornerstone content to share their thoughts and wisdom with a larger audience. A key point for you to consider as you map out your Alexa strategy is that Alexa can do more than just straight responses to specific questions. Alexa can also be configured to access and pull data from sources like Google Analytics – all of which is possible by making the correct API calls. If you log into your Amazon account, you will be able to access the Alexa Skills Kit so you and your team can begin reviewing all of the technical specifications involved in the process. One of the most interesting features for Alexa Skills is how you can require that someone who enables the skill – also “links” their account. Which means they have to accept granting linkage to their Facebook account which then you as the marketer have access to their email address and Facebook messenger. So…if you build a rockin’ awesome Alexa Skill, it can not only help you be helpful to your audience – but – the Skill can also build your email list. Say you are struggling to think of how you might host a podcast – or – the thought of you interviewing your dream prospects as guest makes you uncomfortable – but – you also recognize the power of voice and you happen to have a rockin’ awesome blog that you have spent the last several years building out. Voxsnap is a recently launched service where you can provide them access to your written content – and they will convert it into audio files for you. Voxsnap has a stable of professional voice actors who will read and record your blog content and then give you back a professional sounding mp3 file of your content that you can then share via iTunes, etc…all of the podcasting channels we discussed earlier. So if writing is your preferred way to create cornerstone content, and you are uncomfortable with the thought of recording audio, continue writing with excellent and then leverage the power of voice through Voxsnap. And lastly, you and your team need to get up to speed with the changes voice is having on search engine optimization. I mentioned earlier how comScore predicts that nearly 50 percent of all searches in just a few short years will be voice activated – and that means we need to create different content – and serve it up to Google differently if we want to continue driving organic traffic to our websites. And with voice search…there seems to be one vital priority at the moment and that is to create and optimize content so that it is worthy of becoming the “Featured Snippet” in the search results. The featured snippet is the content that is ranked so high in the search results that Google tends to put it inside a box and it is typically the answer to a question you may have asked when searching. So why is the featured snippet so important to voice? Because Google tends to highlight featured snippets in the voice search results and read them to you audibly. So, if you score a featured snippet ranking for your content – you will not only be served up to searches who are using Google the traditional way – but you will also be served up first to voice searches and your content will be shared with them audibly. Come on…how cool is that, Onward Nation? So…how do you score a featured snippet ranking? Well, I will likely dedicated a future solocast just to this topic because as you might imagine – it is a deep one all by itself. But for now…I will share several quick guidelines. First, you need to begin creating content for your website that is focused on answering “what,” “how,” or “why” questions from searchers. “What” your product or service does, “how” your team solves problems, and “why” you and your team believe so strongly in supporting the industry through your annual research report on trends, etc. So you need to think creatively about matching your content with the intent of voice search so that they sync up. Second, Google has shared data about how searchers who are using voice are also using long keyword strings – or what is often referred to as long-tail keywords. Gone are the days of someone going to Google and searching for a single keyword but instead of searching for a solution to a problem. Because I will want anyone who is struggling with that topic to find my solocast. So you need to think of your keywords from a long-tail perspective but also from a question and answer or solution perspective. And third, I would highly recommend you and your team doing some research and testing using Schema.org – often referred to as Structured Data. With Structured Data, you will have more opportunities to tell Google, Bing, etc. what your content page contains – to label it – identify it and to make it easier for them to index and rank. Recent studies have shown that of all the content pages in the same that were ranked by Google with a featured snippet, over 40 percent of the pages were using Structured Data as part of their optimization recipe. Again, I will record a separate solocast on voice search engine optimization to share all of our steps in full transparency – but for now – if you and your team begin reviewing your content from the perspective of those three areas, you will likely be ahead of 95 percent of your competition. Okay, there is one final reason why I am urging you to immediately consider voice as part of your business development strategy. 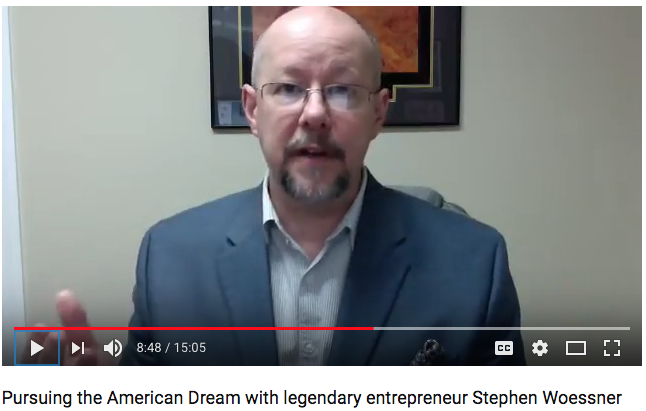 Because if you truly want to be a thought leader – and you want to leverage your thought leadership so that it serves you in attracting new clients as I have shared with you in past solocasts, then you cannot be a one trick pony. Here’s a quick video snippet about why I think that is the case. Your content cannot just be available on your blog…or just your YouTube channel…or just your podcast…or your latest book. Your content needs to be available across multiple channels and you reaching your audience and being helpful in multiple ways…and voice gives you that exceptional opportunity. With voice…you have the opportunity to no longer be a one-trick pony. With voice, you can create new content and then transform it into written content. Now, with the launch of Voxsnap, you have the opportunity to take your written content and transform it into voice. There is so much opportunity today to take one piece of cornerstone content and to transform it into many different spokes – and unfortunately – if you are not doing that – you are missing out on significant business development opportunities. So with that said…I want to say thank you, Onward Nation – thank you for taking time to be here – thank you for sharing your feedback, opinions, and insights with us for over 700 episodes. And I am thrilled that we crossed another milestone with 700 episodes – and that feels wonderful – but I think we are just scratching the surface in how we look to serve you the best going forward this year.